At our next behaviour change group meeting this Wednesday 30th January, we’ll be hearing about a programme that’s yielding impressive results. Manchester University’s 10,000 Actions Initiative is the UK’s largest environmental sustainability initiative for staff in higher education. It aims to provide university staff with the knowledge and means to take positive action to improve environmental sustainability. Since November 2016 over 46% of the university’s staff have engaged with the programme compared to the 3% who were involved with previous environmental sustainability schemes. In total, 26,242 actions have been pledged so far with 6,199 in progress or already completed. At our 2018 annual members’ event, the Network Harvest, Robin Webster of Climate Outreach stressed the importance of appealing to people’s values and what matters to them when it comes to communicating climate change and influencing people’s behaviours. So how have the university ensured their staff feel connected to the issues and motivated to act? The programme encourages a ‘knowledge is power’ approach. 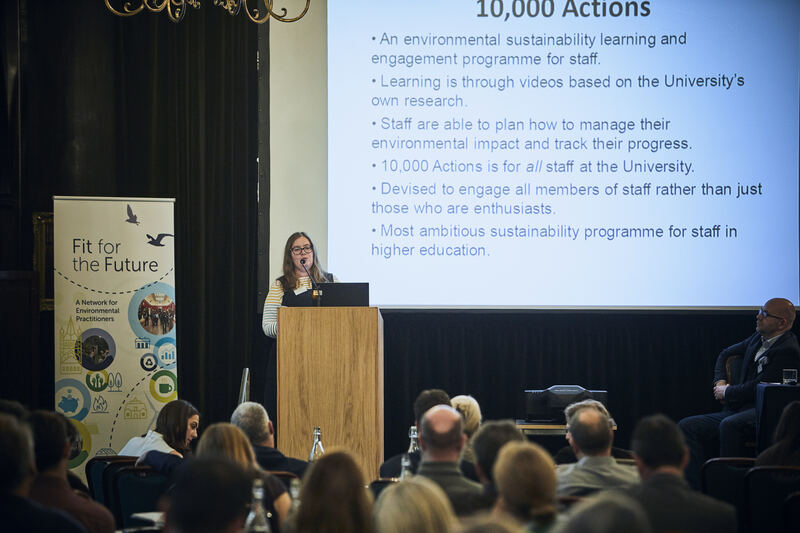 Staff can access a range of videos in which their peers present on six key areas of environmental sustainability: living campus, responsible purchasing, travel, energy, waste, water. They can also discuss issues online with colleagues and explore more in depth resources. An on-campus communications campaign has also raised awareness and encouraged engagement. 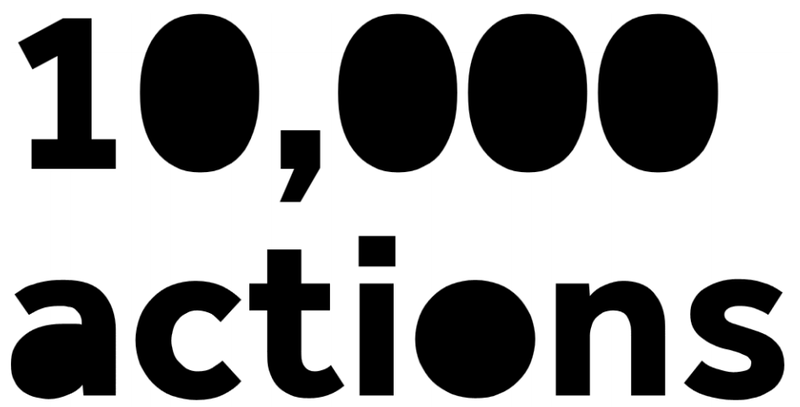 A big part of the 10,000 actions project is an online tool, through which staff can develop a personal sustainability action plan tailored to them, select issues for action that are personally important, plan and manage their environmental impact and, importantly, track their progress. This online tool will be a key focus of the presentation at our upcoming behaviour change meeting, which will be delivered by Manchester University’s Environmental Sustainability Manager, Lucy Millard. 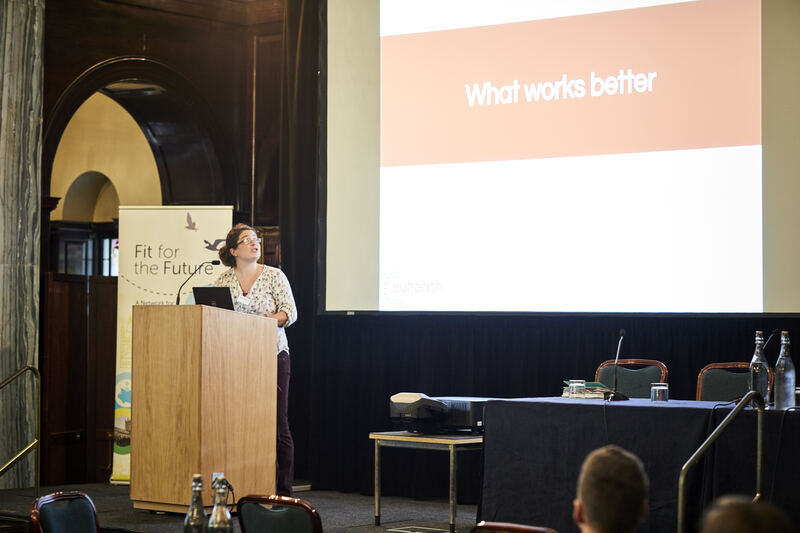 Fit for the Future is all about spreading effective methods to become more climate-friendly, adaptive and resilient organisations. Rather than keep good ideas internally, network members are sharing them with peers via one-to-one linkups and events like the behaviour change meeting next Wednesday. At the event, practitioners will also be hearing from Anita Barton, Assistant Environmental Practices Adviser at the National Trust, about a behaviour change campaign across some of the largest Trust properties in the North of England. There are still some member places available for this event. Please contact Polly if you would like to sign up, or, if you are not a member, to find out about joining.